Hosted by The Kids Did It and The Mommy Island!! 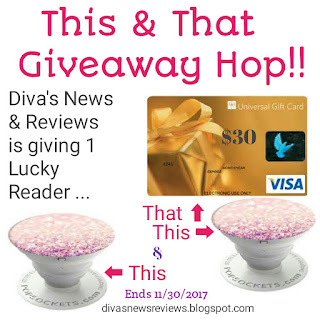 Diva's News & Reviews is Giving Away 2 Phone Grips (Your Choice of Designs) AND a $30 Visa Gift Card!! *Disclosure - Shout out to "The Man". 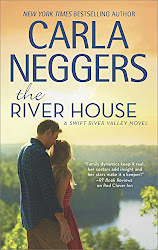 Affiliate links may be present in this post, if you click on it and make a purchase, I will make a small commission which will go for things like postage stamps and Kleenex. Just know you will be helping to support a small business. 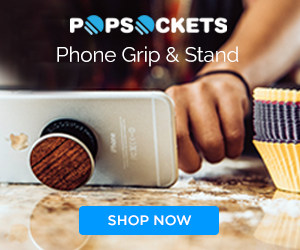 It's a nifty little round grip that adheres to the back of your phone. You can prop up your device instead of laying it flat on a surface. This really comes in handy when you are watching a video or working from your phone. Plus it makes for a handy phone grip. I've been using mine for so long, I've forgotten what it's like to not have it! These are really affordable at $10 - $15 each. The styles are so cute and they now have it where you can upload your own design!! 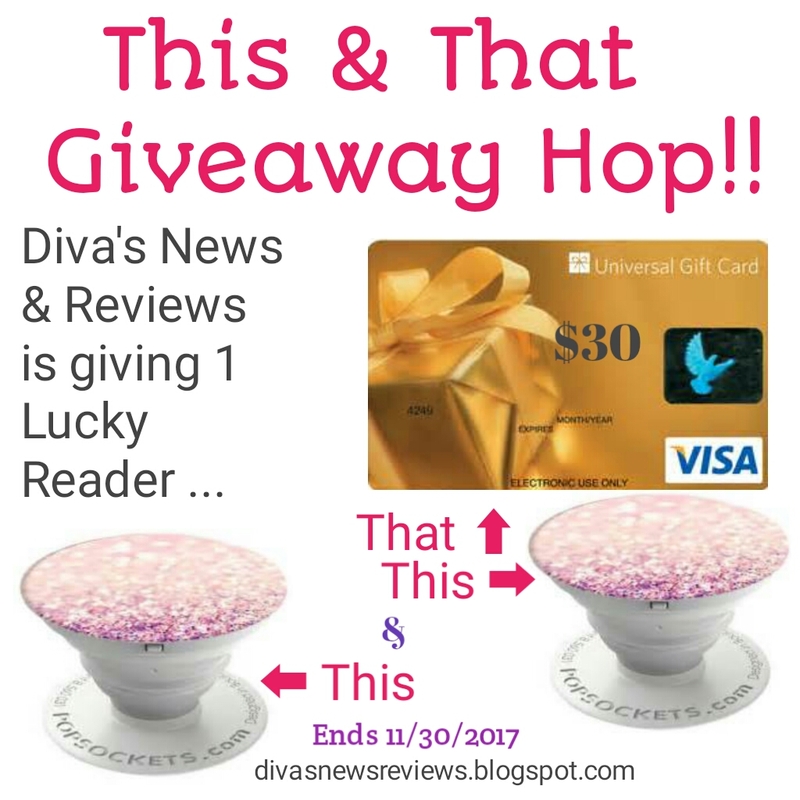 Diva's News & Reviews is giving one of our lucky readers 2 PopSockets!! Your Choice of Designs PLUS a $30 Visa Gift Card!! All You Have To Do Is Enter!! Disclosure - Diva's News & Reviews is not responsible for bloggers or sponsors who fail to fulfill their prize obligations. I would choose black marble and blue nebula. I would like the Blue Nebula and the Blood Marble. i would choose bamboo and blood marble! I like the Libra zodiac one and the blue nebula as well. I would choose the black marble and the blood marble. I love the Wolf grip and the Unicat grip. I would choose the Cancer zodiac and turquoise skull flower. I would like the shimmer & shine and pink donut. I don’t have a popper but ever since my daughter got one, I now love it> I Love the popper that says “Don’t touch” in pink! I would like to have the Capricorn and the Pinkie Pie. So cute. I really like the Bubblegum Giraffe and the Pinkie Pie. Thanks for the super giveaway opportunity. Black marble and blue nebula I think are terrific. I'd like the Blue Nebula and Black Marble. Thanks! I really like the Wolf grip and the Unicat grip. I'd choose the black aluminum for me and the Pieces for my husband. Thanks for giving. Besos Sarah. Silver Metallic Diamond and Pineapple Pattern! Blue Nebula and Blood Marble. I love the supernova and Out of this World. I like the Chill Pill and the Scorpio grip. I visited the website, and I would like the Blood Marble & Black Marble. Thanks for the chance to win! I'd like to have Rain and Wandering Wildflowers. I like Pink Castle and Soda Blue. Thanks for the giveaway! 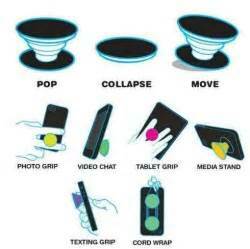 I would choose Twisted and the Rose Granite Popsockets. I like the blue nebula and blood marble. I'd like to have the Libra & Rainbow Dash! I'm crazy about the Neon Rose and the glacier metallic diamond one! I would love to have both so I can change things up! I like the Nebula and Aquarius pop socket. I like Scorpio from the Zodiac Collection and the Blue Nebula. I would like Bamboo and Black marble. What a neat idea. I'd like to have the Blue Nebula and Black Marble. A couple favorites are the Blue Marble, Faux Abalone, Blue Nebula. I would choose the Fall flowers and the Wave. Black marble and blood marble! I like the rose gold metallic diamond and Aztec Mandala Red. I would love the blue paint and ramen ones! I like the Blood Marble and the Neon Rose. I would get the Batman for my son and Pinkie Pie for my daughter. These are so cool and so many choices! I would like the Death Petal and Wolf. Myself I would choose bamboo and blood marble! The Pineapple and the Silver Metallic would be my choices. I would choose the blue nebula and the bamboo one. I'd like the Blue Nebula and the Black Aluminum. I like the Tie Dye Rainbow and Radiant. I like the Wonder Woman Icon and llamacorn styles. Thank you for the chance to win! I'd like to have the grips in the Intertia and Gray Camo styles. Thanks. I would choose Blue Nebula and Miami Daydream. I wish they had Apple Jack! I'd like the Dreamer and Temper Tot! I would love to have the Black Aluminum and the Pink Ocean. I like the Black Aluminum and the Create Your Own designs the most. I would love to have the Tie Dye Rainbow Popsocket and The Make your own with my fur baby's picture on it. So glad I found this site. I would pick the twice shy design for my daughter! I like the Soda Blue and Moon. I had trouble choosing - so many pretty designs! The rose gold and the bamboo!! I like the Peace Mandala Tiffany and the French Lace. I like the I Love You in sing language and the opal popsockets. Thank you! I like Shark and Santa Gab. I like the White Marble and Rose Gold Aluminum. I love the Llamacorn, and the Dreamer. I like Rain and Blush. I would love to have the Unicorn dreams for my tweenie daughter and the bomb for me. I like the blush and the black marble grips. These are totally on my wishlist right now. The Flower Skull and French Lace are my two favorites. I would love to have the Cactus pot and the Tie Dye Blue. I'd love to have the Blue Marble and Blue Nebula! I love the Blue Nebula and Cosmic Geometry. I would love to have the Monkey Head Galaxy and the Opal. I would love the Rose Gold Metallic Diamond and the Bomb! I would choose the sky cake and mesquite, love them all! I love the rose gold metallic and Batman! I would love the Mr. Wiggles or the Oral! I like sky cake and calm waters. I liked the Batman and Shark designs. All articles and custom pictures found on this blog are the copyrighted property of Diva's News & Reviews. Ask permission before copying and using on other sites. Affiliate links are used on my blog, See Disclosure Policy. All opinions are my own.